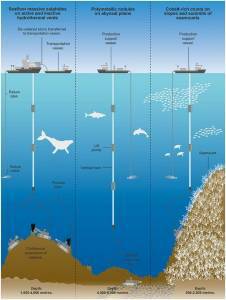 This is a graphic examining the impacts of seabed mining. Jan. 23, 2018 – Mining on the ocean floor could do irreversible damage to deep-sea ecosystems, says a new study of seabed mining proposals around the world. 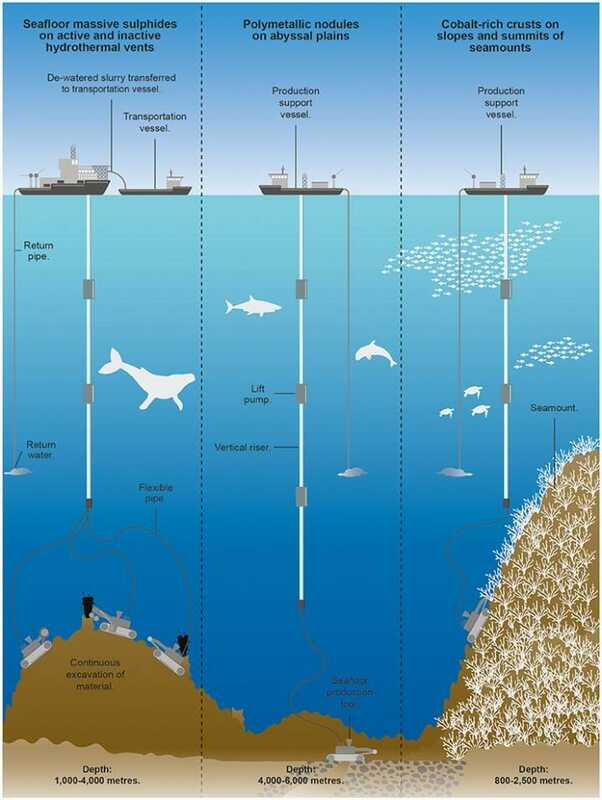 The deep sea (depths below 200m) covers about half of the Earth’s surface and is home to a vast range of species. Little is known about these environments, and researchers from the University of Exeter and Greenpeace say mining could have “long-lasting and unforeseen consequences”- not just at mining sites but also across much larger areas. The Exeter and Greenpeace research team say there are “many questions and uncertainties” around seabed mining, including legal issues and the difficulties of predicting the scale and extent of impacts in advance, and of monitoring and regulating mining activity once it takes place in the deep sea. The paper says that alternatives to seabed mining have already been proposed, including substituting metals in short supply for more abundant minerals with similar properties, as well as more effective collection and recycling of components from disused products and wastes. However, Dr Santillo said demand for seabed mining would also diminish if humanity could cut overproduction and overconsumption of consumer goods. “Rather than using human ingenuity to invent more and more consumer products that we don’t actually need, we could deploy it instead to build goods that last longer, are easier to repair and make better use of the limited natural resources we have,” he said.